Experience the Power of Dance in Wheaton with ClancyWorks Dance Company & Excel Beyond the Bell. Join us on Thursday, May 2nd, 7:00 pm at the Randolph Road Theatre for this free public dance performance. Over the past 15 weeks, ClancyWorks’ Company members worked with students from three county schools to create new works that highlight youth voices. Participants from Roberto Clemente Middle School, A. Mario Loiderman Middle School and Forest Oaks Middle School will show some of the dance works they created with ClancyWorks dancers in the Excel Beyond the Bell (EBB) program. Produced with support from the Arts & Humanities Council of Montgomery County, the Maryland State Arts Council, Montgomery County Collaboration Council, and Montgomery county Department of Recreation. Hors d’oeuvres and light snacks will be served. For more information, email info@clancyworks.org. Presented by Dixon Place in New York City, ClancyWorks Dance Company will be performing alongside seven emerging and established choreographers of all dance forms, each performing 5 – 12 minute dance pieces. The ClancyWorks performance will highlight their latest work “RUTH,” choreographed by Chris Burnside and performed by Krystal Collins and Leila Mire. 8 in Show is a quarterly series curated by Sangeeta Yesley. ClancyWorks Dance Company and Baltimore County Public Schools Office of Dance co-present intensive professional development programs for artists teaching dance, called the Dance Educators Training Institute (DETI). These week-long workshops are designed to enable participants to delve deeper into their artistic pursuits and to enhance their pedagogical techniques in a challenging and supportive environment. Early Bird Registration is Open: Receive $100 off by registering before June 15th! ClancyWorks has a few exciting events in the works, including upcoming performances in Frederick, Maryland, New York City, and beyond! So, Like us on Facebook, Follow us on Twitter, and don’t forget to Sign up for our Newsletter! What does it really mean to practice diversity and inclusion in arts practice? Reflections on social justice, resilience and diversity in arts projects with diverse groups across generations with Dr. Adrienne Clancy, Artistic Director of ClancyWorks Dance Company. Join ClancyWorks’ Founder & Artistic Director, Dr. Adrienne Clancy, to investigate the power of diversity, inclusion, and the strength found in using dance to bring voice to individuals of differing ages and backgrounds. The essential mission of ClancyWorks is the use of dynamic partnering in order to exemplify an environment of mutual respect and to create empowering images that embrace diversity, build community, and advance positive social action. Let’s dialogue about ways we can use art, a nonpolitical means, to address political concerns in a nonpartisan manner. Open to all. The masterclass is suitable for participants with a performing arts background. Observation of the masterclass is also possible for those from within the arts or other disciplines that would like to learn about Clancy’s facilitation techniques. Dr. Adrienne Clancy was selected among a large number of applicants to participate in this competitive program. The Keshet Makers Space Experience (MSE) is an eleven-day residency in which choreographers and dancemakers have access to space to develop their craft and their products. Keshet provides physical space for the “making” at the Keshet Center for the Arts in Albuquerque, New Mexico. Experience the Power of Dance in Wheaton with ClancyWorks Dance Company & Excel Beyond the Bell. Join us on Thursday, January 4th, 7:00 pm at the Randolph Road Theatre for this free public dance performance. Over the past 15 weeks, ClancyWorks’ Company members worked with students from four county schools to create new works that highlight youth voices. Participants from Roberto Clemente Middle School, A. Mario Loiderman Middle School, Argyle Middle School, and Montgomery Village Middle School will show some of the dance works they created with ClancyWorks dancers in the Excel Beyond the Bell (EBB) program. Produced with support from the Arts & Humanities Council of Montgomery County, the Maryland State Arts Council, Montgomery County Collaboration Council, and Montgomery county Department of Recreation. Hors d’oeuvres and light snacks will be served. For more information, read the full release and/or email info@clancyworks.org. ClancyWorks presents new choreographic works alongside other Maryland based dance companies at this festive showcase. The Howard County Community Dance Festival is a collaborative event shared amongst the Howard County Arts Council, the Howard Community College Dance Program and Arts and Humanities Division. The Festival gathers the dancers of Howard County and the surrounding areas together in a celebration including classes and performances in the hope that dance will continue to be a valued and lasting component of the arts in Howard County. We endeavor to feature dancers, teachers, and choreographers from the Baltimore/DC metro area as a means of exposure and support in our small but vibrant community. The Howard County Community Dance Festival is appropriate for dancers ages 11 years of age and up. Download the Festival Brochure HERE. On Saturday, April 14 join us prior to the performance for a reception and silent auction. Bidding starts at 5:30 pm and continues through the end of intermission. ClancyWorks Dance Company is excited to partner with University of Bedfordshire’s The Ensemble and Berlin-based Siciliano Contemporary Ballet to premiere new works at Dance Place on April 15-16, 2018. As part of The Resilience Project, ClancyWorks will premiere a work that investigates the ways in which we learn to absorb the shock of a blow, be it political, emotional, financial, personal. The Ensemble, directed by Tamara Ashley, is a contemporary dance repertory performance group based in the UK who commissions leading international choreographers to create work for touring. In 2018, they will premiere new works by Brussels based Korean choreographer Sung Im Her and Norwegian and Swedish dance company H2 Dance. Sung Im Her’s work Human Wall looks at ideas about the tensions of migration and adapting to new places, while H2 Dance’s work explores humorous interactions in every day situations. Previous works for the company have been created by Matthias Sperling, Bettina Strickler, Matteo Fargion, Annie Lok, Adriana Borriello, Tim Casson and Gaby Agis. Contact www.danceplace.org for more details. Dancers & Dance Educators: Want to experience what it’s like to dance with us? Join us for the Master Class Series @ Dance Place (Washington, D.C.) on Tuesdays, from 7 pm – 9 pm, starting Feb. 15th, 2018. Dance Place is located at 3225 8th St NE, Washington DC. Cost for full series of classes is $115. To register and for further questions about pricing, visit Dance Place’s registration page. This program is produced with support from the Arts & Humanities Council of Montgomery County, the Maryland State Arts Council, Montgomery County Collaboration Council, and Montgomery County Department of Recreation. Arts Bridge | The Wheaton Connection: A Public Dance Performance! After a recent successful presentation on Arts in Public Schools at TEDxMidAtlantic, where ClancyWorks collaborated with the students of Stedwick Elementary, Clancy continues her focus on community leadership through arts education in 2017/2018. Clancy’s overall message is that dance can be a means of building bridges within a diverse community, connecting people across generations, socio-economic circumstances, and between public and private sector businesses and nonprofits, in order to support community development. This event is part of a series of concerts, workshops and networking events that will be presented by ClancyWorks in the Greater Wheaton area throughout the Spring of 2018. This kickoff Spring event – a free dance concert on May 19th, 2018 at 3 p.m. at the Crossway Community Inc. – will allow for several partnering organizations to come together in support of ClancyWorks community engagement programs in the region. This concert highlights the ClancyWorks Dance Company Members alongside the students in the ClancyWorks ASPIRE Dance Program. ASPIRE students participated in an after-school residency that was part of the Excel Beyond the Bell (EBB) program. The EBB program, sponsored by the Collaboration Council and the Montgomery County Department of Recreation, supports learning outside of the classroom and builds the student’s self-confidence. of the Arts (Frederick, MD). This program is produced with support from the the Frederick Arts Council, Delaplaine Foundation, and the Maryland State Arts Council. Featuring choreography by ClancyWorks’ newly appointed Associate Artistic Director, Mathew Heggem. Celebrating 25 years, the Frederick Festival of the Arts, presented by the Frederick Arts Council, is held along Carroll Creek Linear Park in the heart of Historic downtown Frederick, Maryland. The festival is committed to presenting the finest national artists bringing the best of quality fine art, exceptional musical talents, dance, and plenty of food and beverages for all to enjoy! ClancyWorks presents excerpts from “The Memoir Project,”” by Mathew Heggem & guest artist Emma Batman, exploring the personal, poetic narrative of individuals and their interwoven lives. Don’t forget to join us on Facebook too! ClancyWorks will share a solo excerpt from “The Resilience Project” performed by Associate Artistic Director, Mathew Heggem, and choreographed by UNM Alumni Dr. Adrienne Clancy. The event will honor this year’s scholarship recipients as well as featuring other talented Alumni choreographers, including: Dana Tai Soon Burgess, Rujeko Sarah Dumbutshena, Nevarez Encinias, Bill Evans, Jacqueline Garcia, lisa nevada, Mary Anne Newhall, Wade Madsen, Kelsey Paschich, Kerry Ring. Tickets: General Admission – $15; Students & Seniors – $10. Box Office: 410-752-8558 or purchase tickets online. Experience the Power of Dance in Wheaton with ClancyWorks Dance Company & Excel Beyond the Bell. Join us on Friday, December 14th at 7:00 pm at the Randolph Road Theatre for this free public dance performance. Over the past 15 weeks, ClancyWorks’ Company members worked with students from four county schools to create new works that highlight youth voices. Participants from Roberto Clemente Middle School, A. Mario Loiederman Middle School, Albert Einstein High School, and Francis Scott Key Middle School will show some of the dance works they created with ClancyWorks dancers in the Excel Beyond the Bell (EBB) program. Produced with support from the Arts & Humanities Council of Montgomery County, the Maryland State Arts Council, Montgomery County Collaboration Council, and Montgomery county Department of Recreation. Hors d’oeuvres and light snacks will be served. ClancyWorks partners with Coppin State University Repertory Dance Company and Baltimore area schools to present a weekend of fantastic performances! Dance Metro DC continues their commitment to supporting the local dance community in their fall presentation. ClancyWorks Dance Company is showcasing an original piece “Stalked by Time” co-choreographed by Adrienne Clancy and Sandra Lacy and performed by ClancyWorks dancers. This dynamic and thoughtful work highlights the constant struggle to keep up with the mundane tasks of life with too little time to accomplish​ most necessary daily tasks. Join us! Presented by Dixon Place in New York City, ClancyWorks Dance Company will be performing along side seven emerging and established choreographers of all dance forms each performing 5 – 12 minute dance pieces. The ClancyWorks performance will highlight their latest work “Catching Dreams”. 8 in Show is a quarterly series curated by Sangeeta Yesley. Clancyworks Dance Company will be performing at Sky Stage for 3rd and 4th graders of Spring Ridge Elementary, a Title I School in Frederick County and the only fully integrated STEAM school in the Frederick County Public Schools system. ClancyWorks dancers will perform new content based on the Catching Dreams performance series by engaging students through movement and inspire students to develop their community through teamwork and collaboration. This performance is for students of Spring Ridge Elementary only, and therefore not open to the public. ClancyWorks makes a guest artist appearance as we begin a series of collaborative projects with Equinox Dance Company. This first collaborative project is “By Accident”, an exploration of the causes and effects of chance encounters. ClancyWorks will present Adriane Fang’s recent residency techniques and “Catching Dreams”, choreographed by Adrienne Clancy, will also be on the program and asks how might we continue to hold onto simple ideas and aspirations in a world that moves so quickly and is becoming so complex? How can we ensure that our dreams do not transform into our nightmares? This collaborative performance draws on millennial perceptions from dancers and choreographers hailing from Coppin State University Repertory Dance Ensemble, ClancyWorks Dance Company, and Patapsco High School and Center for the Arts, in order to advance positive social action in the Baltimore community. Patapsco students will get a chance to present their fantastic dancing while at the same time gleaning the experience from professionals and networking with university colleagues. 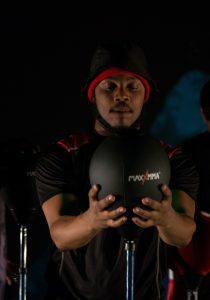 Inspired by the quote of Ossie Davis, “Any form of art is a form of power; it has impact, it can affect change — it can not only move us, it makes us move”, Millennial Motions will explore the ability to respond to change as it impacts them. This performance highlights dance as a catalyst to bring different generations of dancers together in a spirit of celebrating dreams and possibilities. It is sure to be a festival of dance and community making! This evening represents a paradigm for learning across generations and an interest in effective models for dance creation in the 21st century. 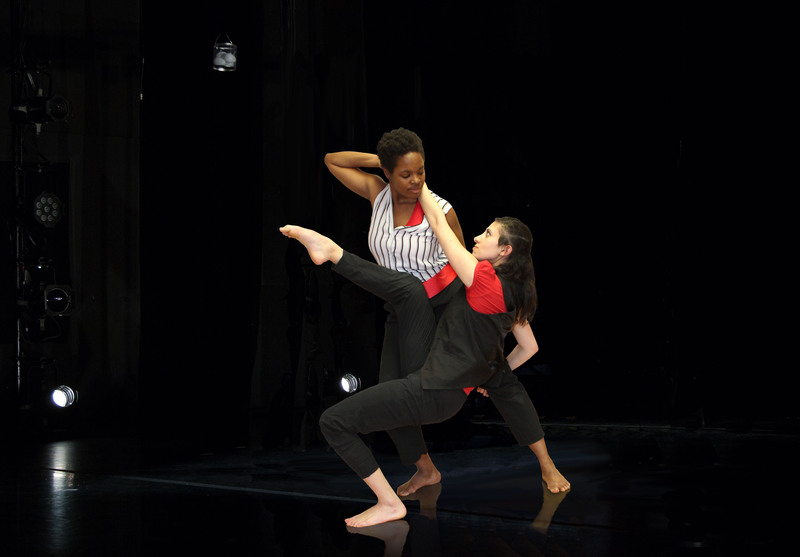 A collaboration between DC-based choreographer Dr. Adrienne Clancy and NYCs Emma Batman & Mathew Heggem (Left Side Labs), performances include a series of dynamic duets and two ensemble works by each company. Dr. Adrienne Clancy, dance artist and proclaimed “wizard of invention” by the Washington Post, will talk about how ClancyWorks Dance Company uses choreography to excite students about learning science. How can we be more empathetic when we design for the future? How can we reconnect policy with facts, truth, and logic? What ethics should we pursue as we shape our rapidly changing world? Push your creativity and physicality every Tuesday during Advanced Modern class with ClancyWorks! Classes are led by company director Adrienne Clancy with support and choreography from company members. 3225 8th St NE, Washington DC. To register for the classes, visit Dance Place. Attendees will have an opportunity to audition as a Company Member or Teaching Artist for the ClancyWorks 2017-18 season. Dance educators, artists, administrators, students and professionals in all arts and education disciplines are invited to join ClancyWorks for our 10th annual Dance Education Training Institute! Invigorate your imagination, and earn continuing Professional Development credit, with DETI 2016, a week-long professional development institute hosted by University of Maryland Baltimore County. ClancyWorks is performing in New Mexico! When you go to ticket site, find ‘Vote For Dance’ and select your date preference. Check out the Facebook Event Page for more info too! Please join us for an evening of talented and diverse choreography that will benefit the scholarship winners of UNM Friends of Dance! Let’s Vote for Dance! A reception will be provided after the concert on September 9th outside of the Elizabeth Waters Center for Dance at Carlisle Gym on UNM Campus. Choreographers: Wendy Leverente-Barker. Adrienne Clancy, Rujeko Dumbutshena, Marisol Encinias and Dominic Guerra.